YES its finished, a long term project with many special custom aspects and a design to die for! 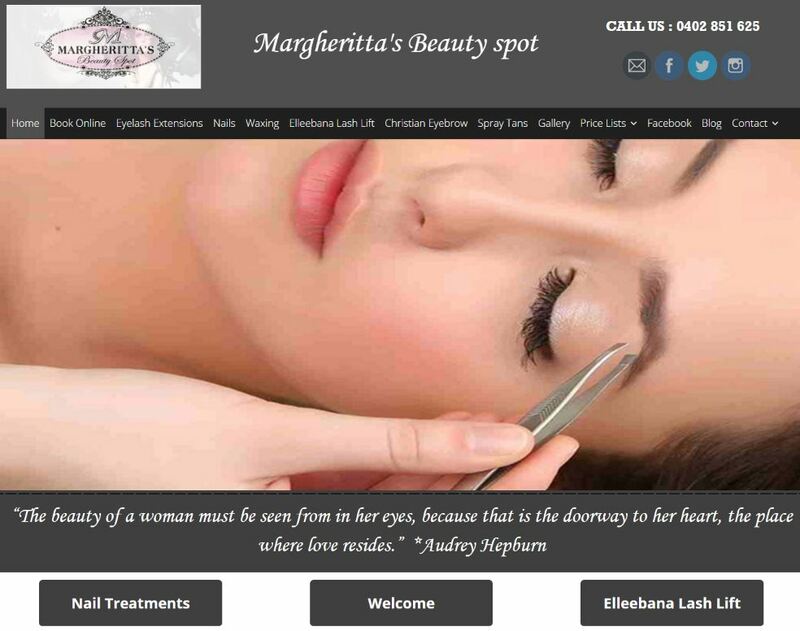 Margheritta’s Beauty Spot came to us with some issues and concerns about the appointment management system integrated into their website. It was ascertained that the only resolution was to rebuild the website as the predecessors left the system in an un-manageable state with far to many band aids. The system has many aspects and features to ensure the management of the salon is efficient allowing Margheritta the time to focus on her clients not her website. Custom calendar options to include and exclude working days staff holidays, public holidays and weekends. There are so many features built into the website and management systems that could write a book about it! Congratulations to Margheritta we know how excited you are to be using your new system and we all took pleasure in creating this master piece for you and your business. Head over to Margheritta’s Beauty Spot to view the latest stunning design or to even make an appointment!